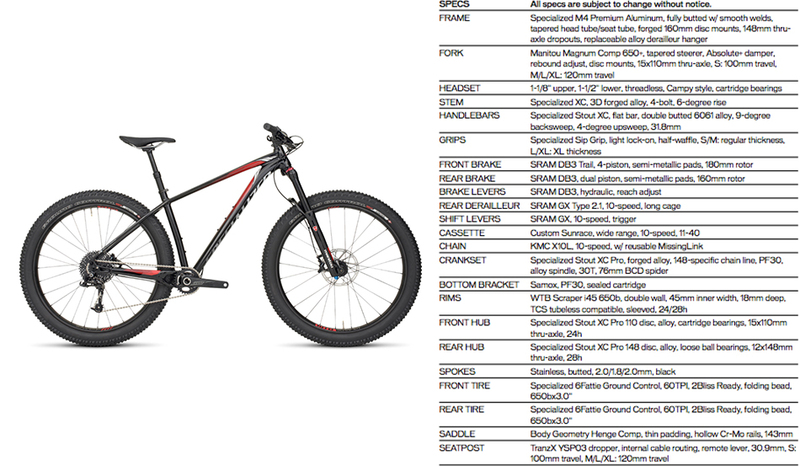 Specialized seems to be very quietly releasing a whole bunch of new mountain products. Walking through the alleys of bike bling and sweating spectators at Sea Otter, I decided to swing through the Specialized tent to see what the Big Red S had cooking. Tucked away in a corner was a stand with two 27.5+ hardtails: a men’s version called the “Fuse” and a women’s called the “Ruze.” It’s no surprise that Specialized is getting into the 27.5+ game, especially given the success of their Fatboy fatbike, which, according to Specialized, inspired the design of these two new models. 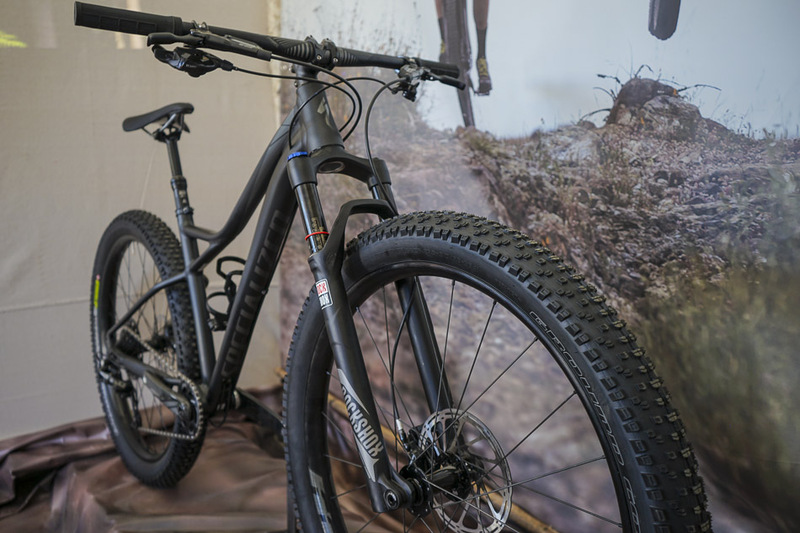 Both bikes are held together by M4 aluminum frames and roll on 27.5+ wheels, which Specialized refers to as 6Fattie. 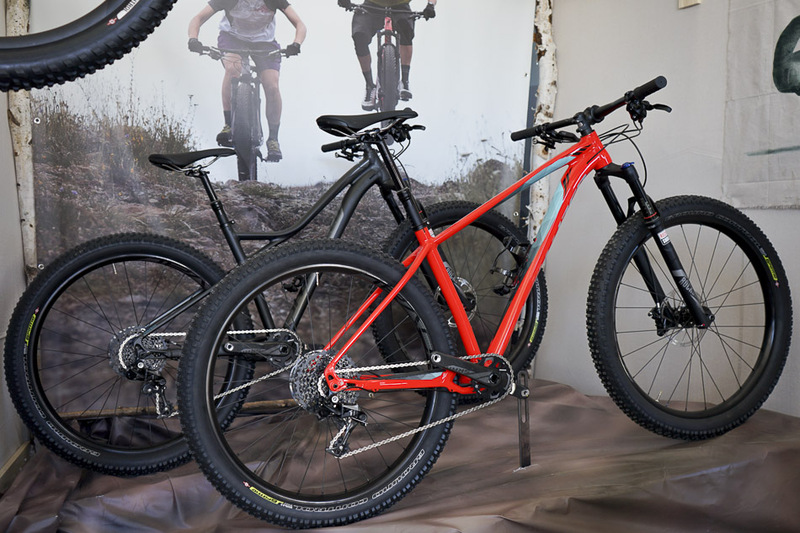 The jury is out on how long that term will last, but it’s evident that Specialized has invested quite a bit in these models, each of which will be available in three trim options as early as late May. 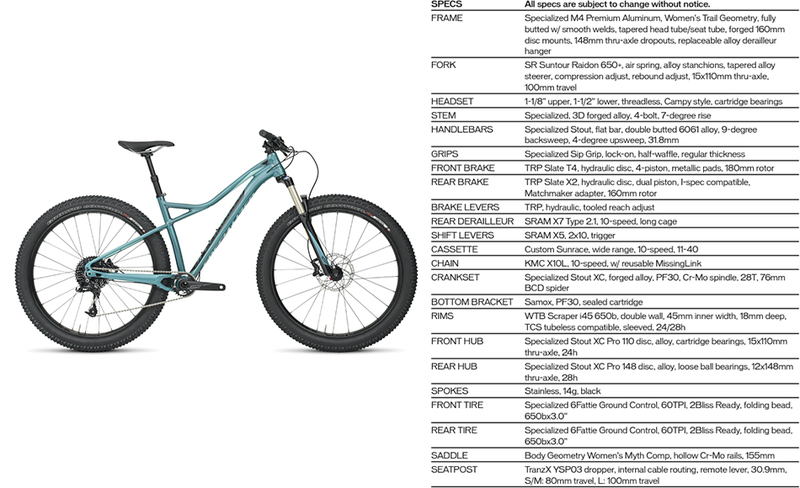 The unofficial word on pricing is that both bikes will ring in around $1600 for the entry level Comp options, $2100 for the mid-range Expert versions and $3100 for the currently top-end Pro models. 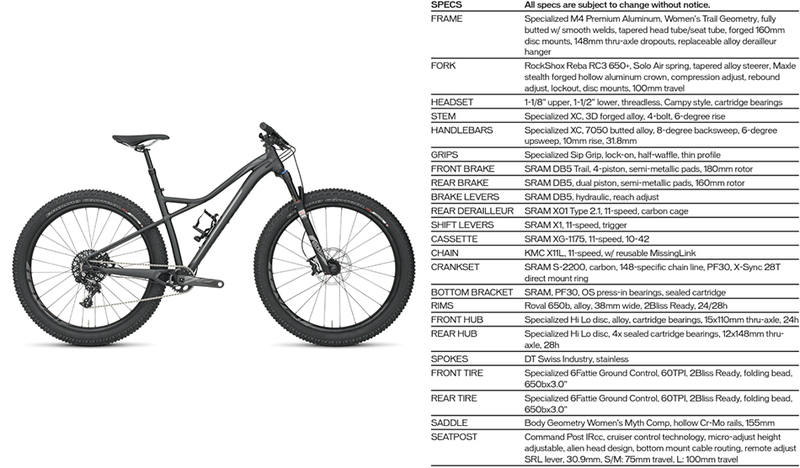 Whereas Trek’s recently-announced 29+ Stache will replace its 29er predecessor, Specialized claims that the new 27.5+ bikes will not be replacing anything in their lineup. 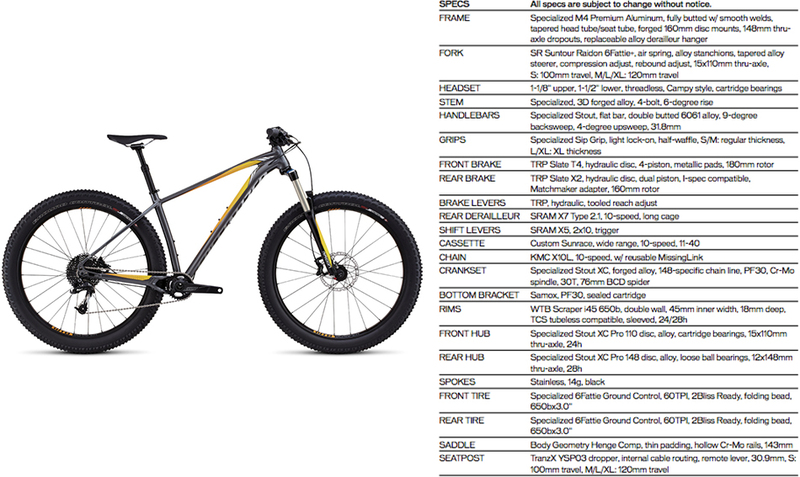 These bikes are designed as aggressive trail hardtails, which was previously a bit of a gap in Specialized’s selection. Geometrically, both bikes share a 67° head angle and are designed with long top tubes intended to be paired with short stems. Chainstays are a mild 430 millimeters long, allowing ample space for 3″ Ground Control tires. The Fuse and Ruze are both one-by specific, and feature internally routed droppers at every pricepoint, which is pretty darn awesome. Front and rear axles will match 110- and 148-millimeter standards, respectively. The most visually distinguishing mark on these bikes is the Diamond Stay. In order to fit the cranks, (relatively) short stays, wide tire, and have clearance for 28-34-tooth chainrings, the the drive-side chainstay had to be split near the bottom bracket. 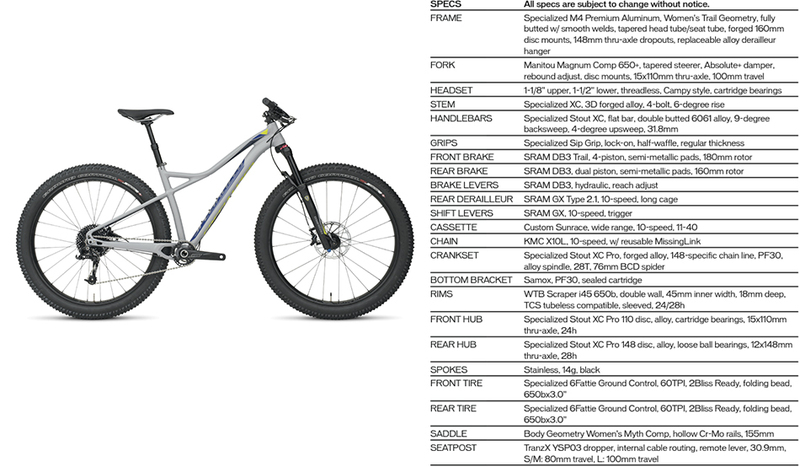 Specialized has been intent on low standover heights for some years now, and these new bikes continue that legacy. 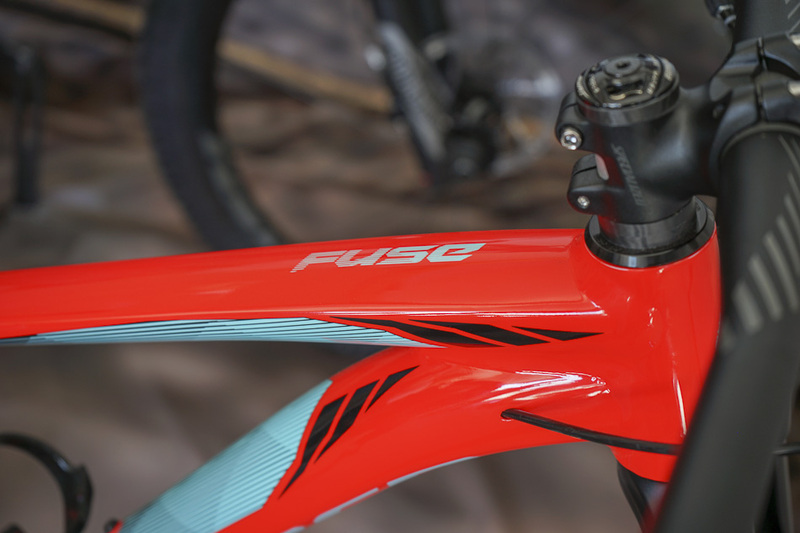 The Fuse will ship with a 120mm fork in all sizes except for small, which, like all versions of the Ruze, will come with a 100mm fork to give shorter riders’ nether regions a bit more room. The Ruze will only be offered in small, medium and large sizes, while the Fuze will run the gamut from small to double X. 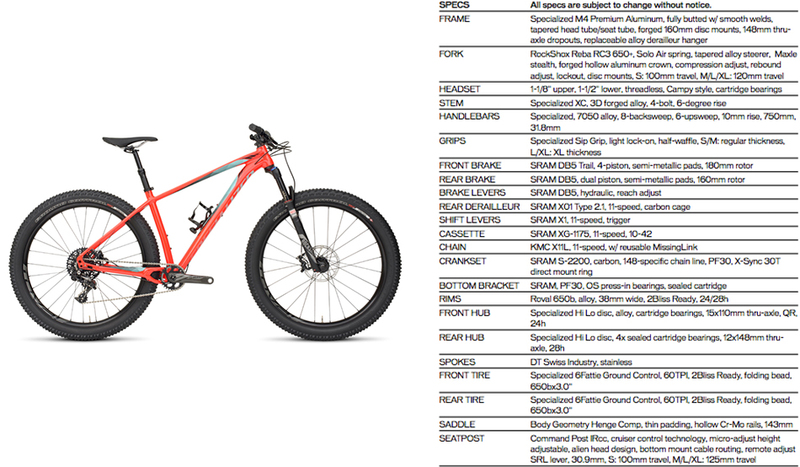 There are also some minor differences where Specialized has tweaked ergonomics with gender-specific contact points.